Success! Now you have your very own ScoreCloud account! Now, in your ScoreCloud Express app, go to "Registration" → "Login" and enter your username and password, and you're all set to make more music! 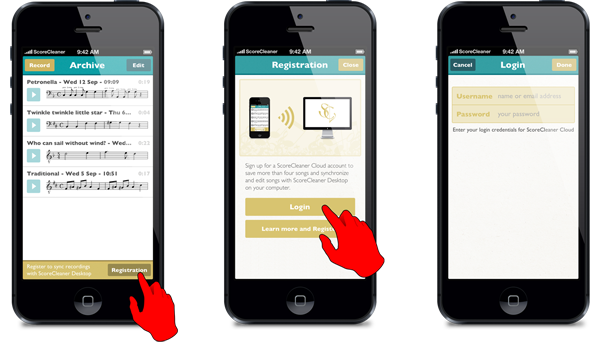 You can also Sign in to ScoreCloud in your browser to manage and share your songs! Browser features missing, please update your browser!